Adam Lamagna, sales consultant at a top global website security firm, understands how crucial website security is to a business’ success. 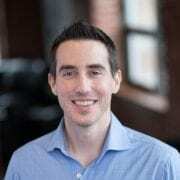 He will be providing key tips on how to secure your business’ website at Newport Interactive Marketers’ networking-learning event on June 23, in Newport, RI. Make no mistake, if you own a website, however small or low-trafficked it is, you are a crucial piece to the overall internet ecosystem. How would it make you feel if your friend’s bank account was wiped out after they visited your site? Or if a self-replicating virus destroyed your visitor’s hard-drive after submitting a form on your marketing site? Again, that’s how critical you are to this environment and that’s how dangerous things could get if you’re not educated. This talk is designed to break down website security at its most fundamental level and understand that there is no 100% solution out there, there never will be. Security is about technology, processes, and people, and we need to know how to mitigate risk in these areas. Meet Adam Lamagna, Sales Consultant at Sucuri – top global website security firm. If you own or manage a website, whether it’s an ecommerce store, a blog, or just a simple marketing site, you need to know how to keep it protected and become a responsible steward of the world wide web! Parlor Bar & Kitchen is Newport’s hidden gem. It’s a Broadway destination offering Modern American cuisine & refreshing cocktails in a chic vintage setting. is sponsored by Angles & Insights & Designated Editor.